Alvin Kitchen and Cabinet Design Template works great for Kitchen Designers and anyone that has the need to draw cabinets, appliances, sink bowl shapes on their design drawings. Contains counter and corner elevations, appliances, sinks, and sink bowls. 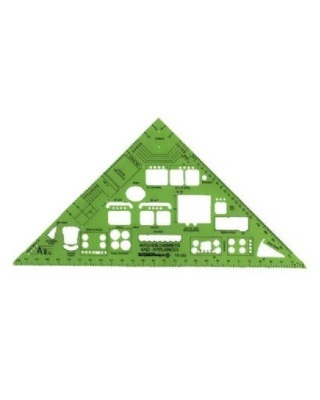 Template Size: 97/8" x 97/8" x .030".